Towson University believes in using their intellectual resources to help meet pressing needs within the community, and so established the Center for Professional Services at Towson University. As an adjunct professor at TU, I was asked to be a part of a team that CPS assembled to meet some of the needs of the Maryland Transit Association. 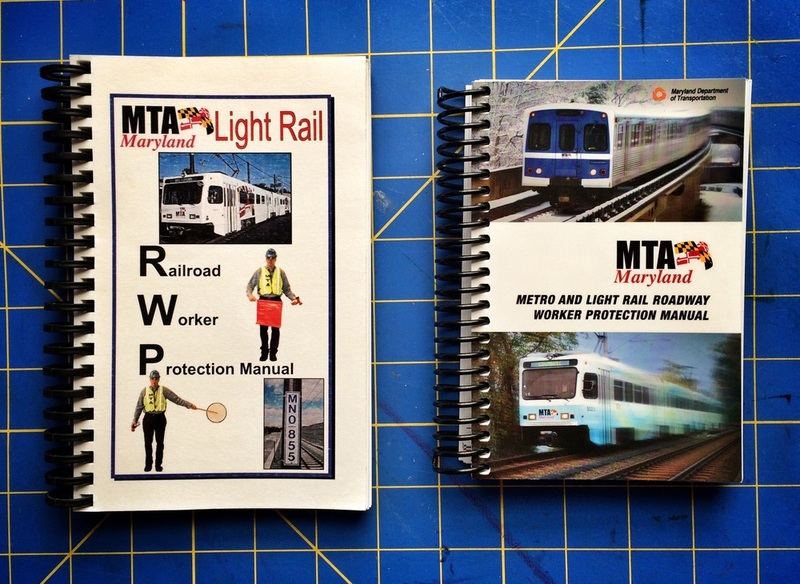 This project was a much-needed update to the training materials used to instruct Metro and Light Rail workers on safety procedure. It was a very large project and included curriculum development, training videos, presentations, instructor manuals, student manuals, and pocket reference guides (in English and Spanish). I had the pleasure of working with a fantastic team as Art Director and Lead Designer, and it took over 2 years to complete. Currently, I am continuing to work with this same team to address further needs (including materials for First Responder Training and Safety in the works now at Hatcher Design Office!). One of the true pleasures of this project has been to apply my experience and knowledge of best practices in research, layout, production, information design, and typography to create design that really works. By being easy to read and comprehend, these materials really do make a positive impact on individual and community safety. 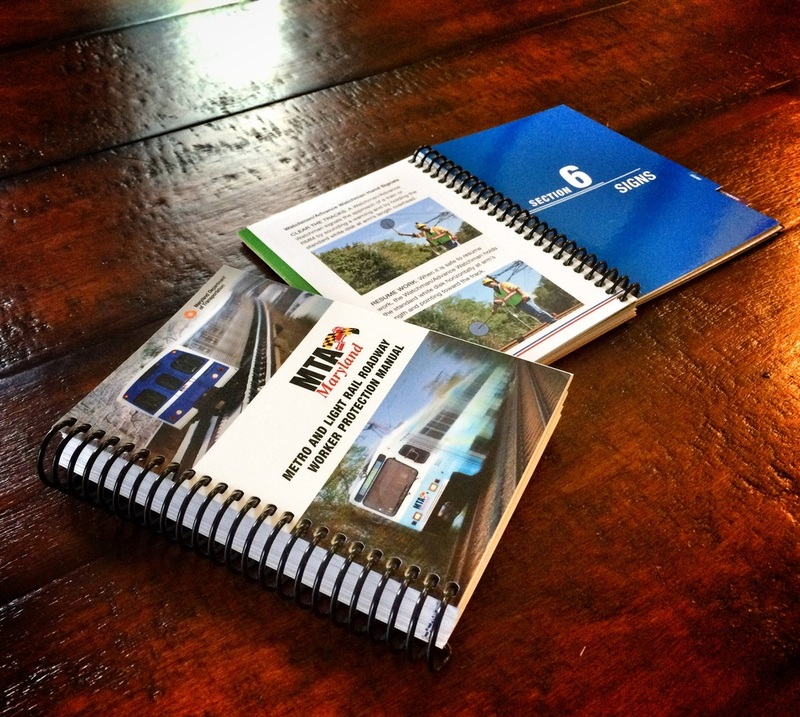 The student manual and quick reference guide (above) were designed to be small scale and coil bound for ease of transport, storage, and use. The quick reference guide was also laminated to be durable enough to withstand tough conditions on-track. All colors, typefaces, photos, illustrations, and layout compositions were carefully selected to be easy to visually scan and accurately comprehend. Before and After: The difference is easiest to see in this "before and after." On the left is the older book, on the right the new one.